ST. GEORGE — “We are putting up the red flashing lights and hazard signs in relation to what is probably one of the most significant and devastating public health threats of our time and that is the heroin and opioid crisis here in Utah, and, even more specifically, the deadly drug Fentanyl,” said Brian Besser, Drug Enforcement Administration district agent in charge in Utah. Besser spoke at a press conference in Salt Lake City Wednesday announcing a federal grand jury’s return of a superseding indictment Wednesday morning charging six individuals in what the indictment alleges is an international drug trafficking organization in Utah involved in manufacturing fake prescription drugs made from Fentanyl. The drug ring discovered in Utah is being considered one of the largest trades of the drug Fentanyl in the nation, authorities said. Hundreds of thousands of the fake pills were distributed throughout Utah and the United States to customers who had ordered pills from the Utah-based darknet, or hidden services online store. Charged in Wednesday’s 15-count indictment are five Utahns, including Aaron Michael Shamo, 27, of Cottonwood Heights; Alexandrya Marie Tonge, 25, and Katherine Lauren Ann Bustin, 26, both of South Jordan; Mario Anthony Noble, 28, and Sean Michael Gygi, 27, both of Midvale; along with Drew Wilson Crandall, 30, of Brisbane, Australia. The organization began with Shamo and Crandall, who had worked together at eBay, according to documents filed in federal court. The two men purchased pill presses, dies and stamps to mark pills so the markings would match those of legitimate pharmaceutical drugs, and inert pill ingredients, such as binding agents and colors. Some items were purchased legally and others, such as Fentanyl and Alprazolam, were imported into the United States illegally, including from China, according to court records. To avoid detection, Shamo and Crandall had many of their supplies shipped to nominees or straw purchasers. 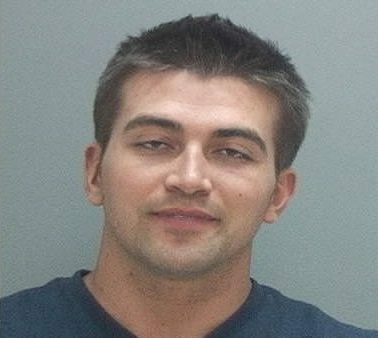 After manufacturing the fake Oxycodone-type pills and counterfeit Alprazolam tablets in Shamo’s basement in Cottonwood Heights, the drugs were sold at a significant profit from an online store on the darknet for bitcoin and then the digital currency was converted to cash. Before quitting their jobs at eBay, Shamo and Crandall told a co-worker they were making a lot of money trading bitcoin. The co-worker, identified as Tonge, asked them how she could get involved, according to the complaint. The two men hired Tonge and her roommate, Bustin, in 2014 to receive packages at their home in South Jordan, paying them $200 to $300 per package, according to court documents. Tonge told agents she knew the packages contained something illegal but that she didn’t know what. In June 2015, Tonge said she asked Shamo and Crandall if she could play a bigger role to make more money, according to documents filed in court. The two men then allowed Tonge and Bustin to package the drugs for shipment. Crandall showed them how to wrap the packages using a vacuum sealer and Mylar bags that he said would make the drugs undetectable, according to court documents. They used padded envelopes or priority mail envelopes bearing fake company names and regular postage stamps to ship the narcotics. From December 2015 to November 2016 alone, the operation mailed 5,606 drug orders totaling $2.8 million, according to court documents. Besser said Fentanyl plays a major role in rising mortality rates due to opioid overdose. Fentanyl poses a serious overdose risk because it can rapidly suppress respiration and cause death due to its potency being so lethal, Besser said, adding that only 2 milligrams of Fentanyl is potentially fatal to a nonopioid user and that the drug can easily or accidentally be inhaled or absorbed into the skin. Worldwide internet availability and low production costs have encouraged drug suppliers to cut their heroin with Fentanyl or press it into counterfeit pills, Besser said. Federal agents arrested Shamo on a federal complaint filed in November 2016. Agents discovered a pill press in Shamo’s Cottonwood Heights home capable of manufacturing several thousand pills an hour, Besser said. During the raid, agents seized 70,000 pills and $1.2 million in cash stuffed in garbage bags. Crandall had fled to Australia with his girlfriend and was in Laos when agents raided Shamo’s house and his alleged co-conspirators’ house in South Jordan. Crandall was arrested earlier in May in Hawaii and made his initial appearance in federal court in Salt Lake City last Friday. Shamo and Crandall are in federal custody. A summons to appear in federal court will be issued to Tonge, Bustin, Noble and Gygi. Count 1 of the federal indictment charges Shamo with knowingly and intentionally engaging in a continuing criminal enterprise. Because of the volume of drugs involved in the case, Shamo faces mandatory life in prison if convicted of Count 1. Counts 2 through 9 and count 12 of the indictment charge various defendants in the case with alleged violations of federal law committed as predicate acts in support of the continuing criminal enterprise. The potential maximum penalty for Count 2 in the indictment, conspiracy to distribute Fentanyl, is life in prison with a mandatory minimum 10 years and a $10 million fine. The potential penalty for Count 3, conspiracy to distribute Alprazolam, is five years in prison and a fine of $250,000. Count 4 and Count 6, aiding and abetting the importation of a controlled substance (Fentanyl) have potential penalties of 40 years in prison with a mandatory minimum five years and a $5 million fine. The potential penalty for Count 5, aiding and abetting the importation of a controlled substance (Alprazolam) is five years in prison and a $250,000 fine. Counts 7 and 8, possession of Fentanyl with intent to distribute, have potential penalties of life in prison with a mandatory minimum 10 years in prison and a $10 million fine. Count 9, manufacture of Alprazolam, has a potential penalty of five years in prison and a fine of $250,000. Counts 10 and 11 of the indictment charge Shamo with knowing and intentional adulteration of drugs held for sale. The counts allege Shamo manufactured round blue tablets and offered those tables for sale on the internet as “Oxycodone 30 mg.” Count 10 alleges the tablets were debossed with markings that mimic the markings of legitimate Oxycodone tablets. Despite those representations, the indictment alleges the defendants did not use Oxycodone at all in the manufacturing process, but instead, substituted Fentanyl, a much more potent synthetic opioid. The indictment alleges the adulteration had a reasonable probability of causing serious adverse health consequences or death to humans. The potential maximum penalty for Count 10 and 11, knowing and intentional adulteration of drugs while held for sale, is up to 20 years and a fine of $1 million. The final three counts of the indictment allege conspiracy to commit money laundering, money laundering concealment and engaging in monetary transactions in property derived from specified unlawful activities. The indictment also includes a notice seeking criminal forfeiture of currency, automobiles, a pill press and a variety of pill dies and punches used as a part of the alleged criminal enterprise. Count 12, use of the U.S. mail in furtherance of a drug trafficking offense, has a potential penalty of four years and a $250,000 fine. Money laundering Counts 13 and 14 have 20-year potential maximum penalties and fines of $250,000. The final count of the indictment, engaging in monetary transactions in property derived from specified unlawful activity, has a potential penalty of 10 years and a fine of $250,000. Special agents of Homeland Security Investigations, the DEA, IRS Criminal Investigation, FDA Office of Criminal Investigations and U.S. Postal Inspectors are investigating the case. Quite a sophisticated operation. Some of these young folk here were obviously quite bright and had skills with computers. They could’ve easily made money legitimate ways and had successful careers but chose to become drug dealers. Really, there is no way to know how many people died as a result of their products. They probably deserve to be put away forever. Drug ~addicts~ should be shown compassion and given support to overcome their addiction. Drug addicts ~that commit crimes~ should have those crimes prosecuted to the full extent of the law. Drug ~dealers~ should be hit with maximum fines and sentences. Drug ~cartels~ should be treated like terrorists and wiped from the earth.